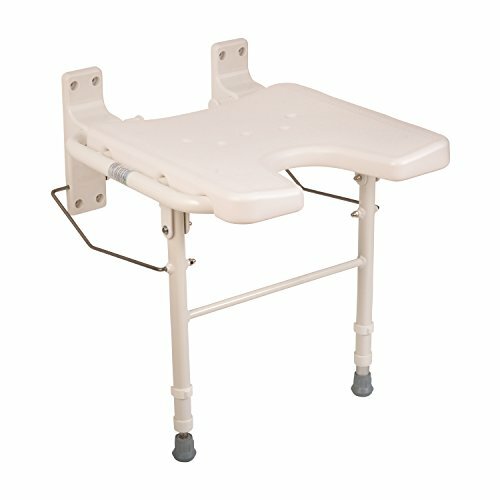 Shower transfer benches are important in the prevention of bathroom accidents. Note that shower accidents can be fatal and have actually led to the death of many people. 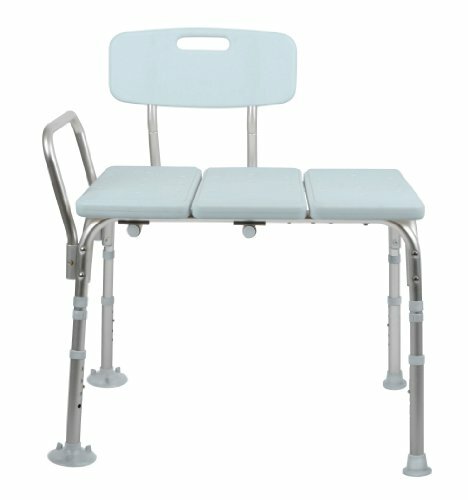 Individuals with disabilities, and the ill and elderly find these benches convenient and safe. Instead of going over the edges of the tub, you get onto the bench from the outside of the shower. Then, you scoot over to the inside of the bathtub gradually. There are different kinds of shower transfer benches, and each suits a certain type of people. For example, you can get one that is designed like a stool or an alternative type that resembles an actual bench. 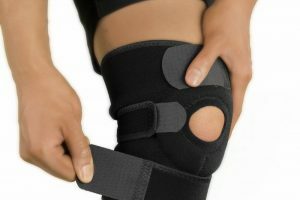 Some are built with a back support while others are designed without. 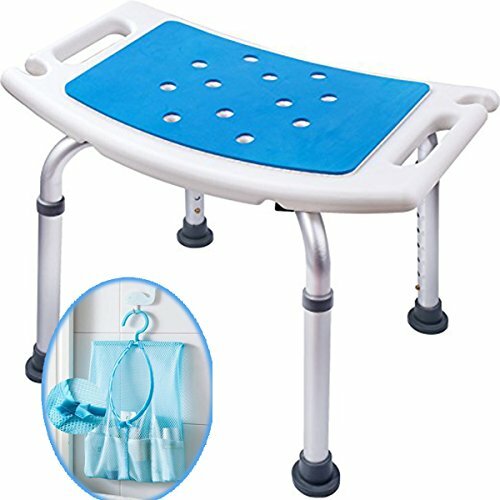 You can also get a shower transfer bench with adjustable height. It is equally important to consider your budget since shower transfer benches are usually not covered by health insurance. Ideally, you shouldn’t go for a cheap product just to save money. 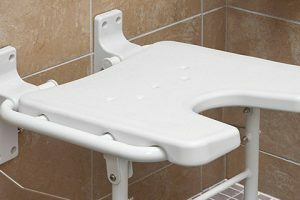 Low-quality shower transfer benches can lead to serious injuries when in use, especially because they give you a false sense of security. Also you might consider using this type of product in conjuntion with a shower grab bar for even more support while showering. If you intend to save some space in your bathroom, this is one of the best shower transfer benches you can get. The bench is quite small and it can be folded and set aside easily when it is not being used. Its seat is made of plastic and has no padding. The height of the bench can be adjusted from 17.5 to 20.5 inches. 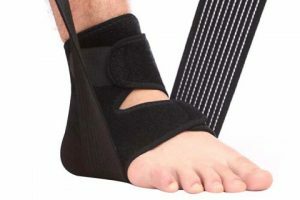 Rubber feet are also used in this product to maximize safety in the shower. The installation of this shower bench requires the help of a qualified technician. If you choose to do it yourself, you will require some tools. 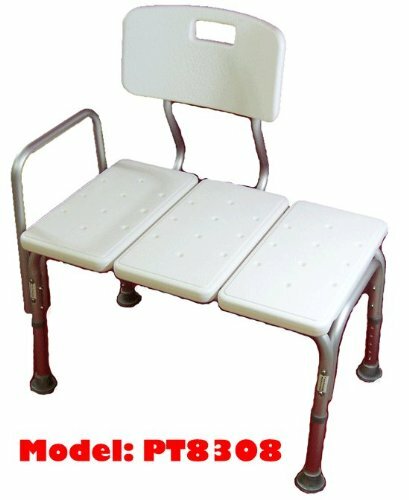 MedMobile is among the most popular transfer benches. 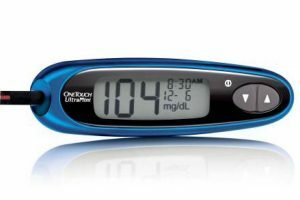 The height can be adjusted from 16.5 to 20.5 inches, with one inch increments in-between. It has a backrest, although this feature is optional. Assembling the product is quite easy. You will only need pliers and a screw driver. It is important to remember to adjust the height of the bench when setting it up in the bathtub. Failure to do this can expose the user to injury risks since the bench will be unstable and uneven, owing to the curved design of most bathtubs. Overall, this shower transfer bench is great. The only real problem that has been noted is the hard plastic texture of the seat. If you are slim or skinny, you will experience great discomfort with this bench. It is also not meant for users who are very heavy. The design of this shower transfer bench allows you to save more space. Being a bright blue transfer bench, users with poor vision are less likely to miss it and fall in the shower. The blue color greatly contrasts with the white hue of bathtubs, and this helps to enhance safety further. 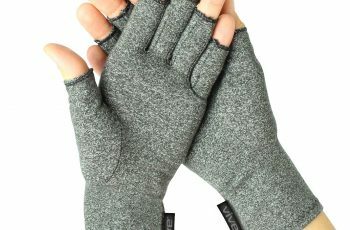 It has handles for support, and is padded to make it more comfortable for users. 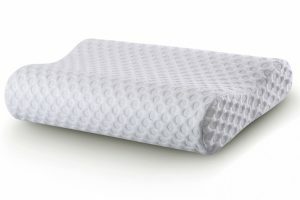 The manufacturer uses polyurethane material for the padding, and this is great since it does not absorb water. Cleaning the bench is a simple task. Also, assembling the whole thing is also very easy as it requires no tools at all. The seat of the bench can be adjusted from 19 to 22.5 inches. 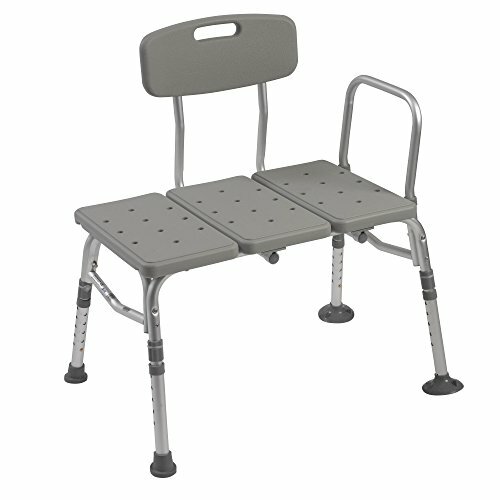 The Plastic Tub Transfer Bench comes in an attractive gray color. 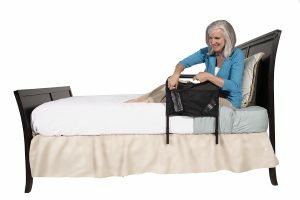 It has an adjustable backrest for enhanced comfort. Height can be adjusted through half inch increments, from 17.5 to 22.5 inches. Strong suction cups are used to make the transfer bench more stable in the bathtub. Since it is made of strong plastic material, this bench is capable of holding people of up to 400 pounds. The entire shower transfer bench can be assembled and installed without the use of tools. 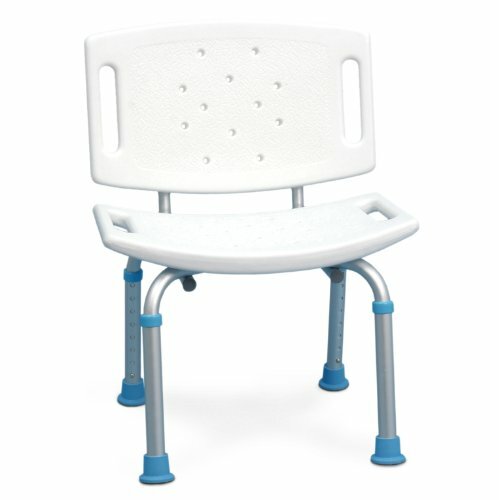 The Drive Medical Bath Bench has drainage holes to reduce the collection of water in the seat, therefore, lowering the chances of a slide or slip. Its frame is made of aluminum, which is a good, lightweight material that is also durable and resistant to rust. 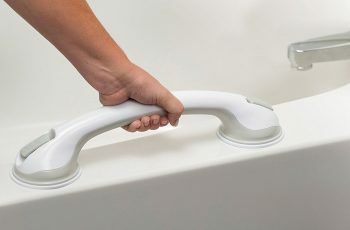 Suction style tips are used to make it more stable in the tub. Assembling of this shower transfer bench should only take you a few minutes, and is completely tool-free. You can adjust the height of the bench by one inch increments. Being a sturdy and strong bath bench, this product can accommodate a maximum weight of 400 pounds. It is, however, advisable to only use this bench if you are under 250 pounds. This is another well-designed transfer shower bench. 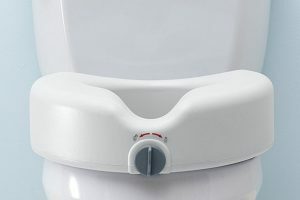 The seat has holes for drainage purposes, and is also detachable, which makes cleaning easier. People with less fat for cushioning will appreciate the padding in the seat as it makes the bathing experience a lot more comfortable. For extra stability, the bench has rubber feet that have a better grip on the tab’s surface. Depending on your height, you can adjust the legs of the stool between 12.5 and 18.5 inches. All you need to do is push the legs up or down, and adjust the anchor pins. Rust-resistant anodized aluminum is used in the making of this stool, and that guarantees you a long period of use. Assembly of this stool does not require the use of tools. 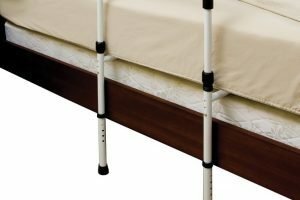 The biggest advantage of this product is its nine height adjustments. The seat also has a nice texture, although it would not suit slim people. Since it has a rough texture, you will be able to stay in the seat comfortably as the risk of falling off is reduced greatly. 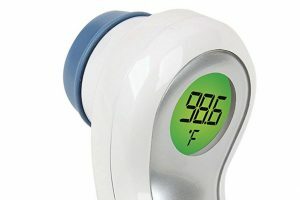 It has a push button armrest that reduces the strain in getting in and out of the tub. If you prefer, you can get rid of the armrest altogether since it is removable. 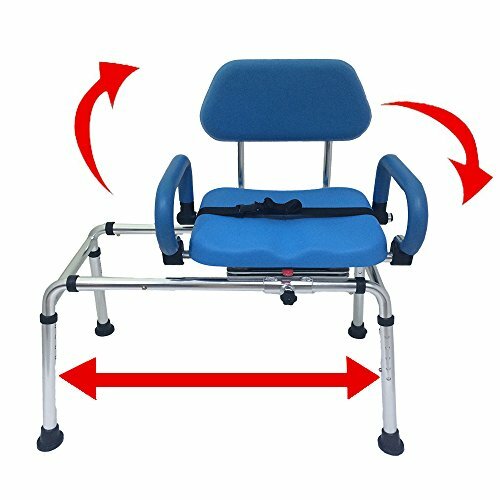 The installation of the transfer bench is very easy and is done without the use of tools. 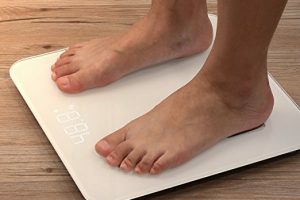 The product can support a maximum weight of 250 pounds. 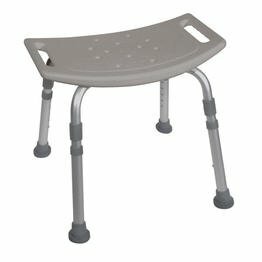 This shower transfer bench is also made of textured plastic and an aluminum frame. These materials make the whole bench light and easy to move around. When fully extended, the height of the bench is 37 inches. This elevation can be adjusted through one inch movements to a point where the seat of the bench is 19 inches high. 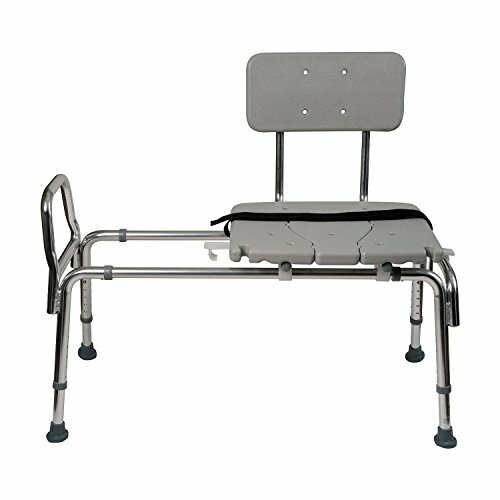 Being a bariatric shower transfer bench, the product can accommodate people of up to 400 pounds. For extra security, the seat is held in place using nylon strap locks. The tips of the legs are also designed to resist slipping on watery surfaces. Before buying this product, it is advisable to first check the dimensions of your bathroom to conform whether or not it will fit. This bench has a reversible backrest and height adjustable legs for high levels of comfort. 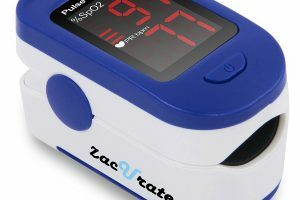 It has an anodized aluminum frame that adjusts in half inch increments. The installation of the bench is very simple and is tool-free. It is actually done using push buttons. The maximum weight that can be comfortably held by it is 300 pounds. 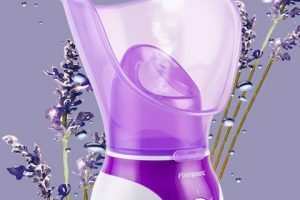 It has a wide base and uses suction cup tips on two of the legs as a measure to improve stability. The surface is made with holes to prevent the collection of water, and this reduces the risk of an accident. 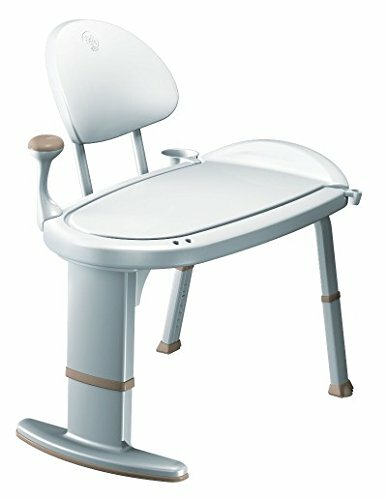 To inhibit the growth of bacteria and other microorganisms, the bench is made using Microban Antimicrobial protection. This shower transfer bench comes in a glacier white color. It is strongly built and can hold people of up to 400 pounds. The height can be adjusted from 16.5 to 21 inches. Each of the three legs of the bench can be adjusted separately to provide the greatest stability. Because of this feature, the bench can comfortably fit in many bathtubs. The design also features a basket organizer to help in the storage of toiletries and other items. Assembling this product is a breeze and should only take you a few minutes. This shower transfer bench comes with a limited lifetime warranty against leaks, finish defects, and drips.